We provide a child-friendly environment conducive to learning yet fun to explore. 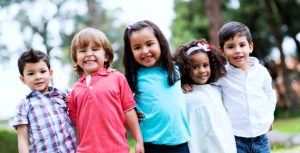 Bogart Memorial School offers a safe as well as educational facility for your child. To be sure we are providing the highest level of protection for your children Bogart Memorial School has updated our technology and equipment. Our security system features (8) digital video surveillance cameras placed indoor and outdoor in prime locations around our building. These areas are monitored and continuously viewed throughout the day. The keyless entry ensures only allowable persons have access. Student safety and school security will continue to be a high priority as we value the safety and security of your children as you entrust them to us. To learn more about our facility, feel free to visit us at 263 Larch Avenue, Bogota, New Jersey 07603. Or call us at 201-342-2093.